The name of the game is all about versatility and accepting the reality that as anglers, being versatile and flexible is a necessity for this sport and hobby. If using a spinnerbait is not working, you can try to learn another method and one of the most effective means is to know how to fish a chatterbait. To catch a chatterbait, there are some factors that you must consider and this article aims to show you some of the effective means to enjoy fishing at its best. I have learned through experience that being an angler requires patience and the urge to learn more, know more and accept different methods in order to enhance your skills and expertise. It appears that with chatterbait, this impression goes a long way. Chatterbaits are commonly used for freshwater sports fishing because of its amazing action and the variety of ways to retrieve the lure. That being said, here are some of the things that you need to have or prepare. Chatterbaits or known as bladed jigs are one of the most popular fishing lures for bass anglers. Since it is extremely versatile, it can be utilized in almost any situation. Go to the fishing spot: Setting up the place to fish is virtually important as having the right lure or color. Once you got your spot, place your things and prepare to fish. Thread the chatterbait: Take the fluke or soft plastic swimbait and let it face the chatterbait. Thread it on in the same manner that you rig a worm and make sure to estimate well. Bring the hook point back out into the open and slide it up to the top. 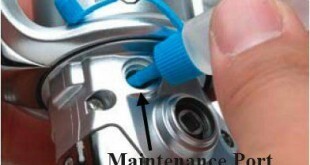 Use the superglue: Moreover, using superglue, put it on the hook chap, slide the swimbait back on again and let it dry. Cast parallel to the shore: The first thing that you need to do is to start casting the chatterbait parallel to the shore, and let it fan out parallel to the shore. By this step, you can maximize your target zone as well as gaining high possibilities of getting a strike. Retrieve Well: Retrieving the chatterbait slowly and steadily. This is imperative in order to catch a large number of bass and ultimately enjoy your fishing escapade. When using chatterbaits, there are some things that you need to do to guarantee success. Here are some of the tips that you must remember. Location: One of the first few things that you need to be aware of is the location. Know where to cast is essentially important. Don’t forget to start casting almost parallel to the shore, or about 1 foot out. If you are able to locate a spot try to keep fishing it, I often catch bass if I sit approximately 10-15 feet out from the shore. Read the Weather: When fishing, know the weather of the day otherwise, the whole outcome would be affected. 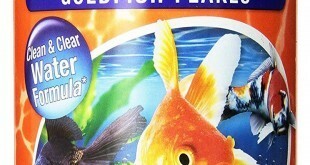 Try and read the weather, because for colder weather, the fish are not that active. Be Flexible: When it comes to fishing, do not hinder yourself from being flexible. For many times, I have experienced how things would not go my way or the lures are not working that way I wanted it. That being said, I try to adjust and change things up when needed. Being flexible is important during the retrieval process and even in the look of the lure. For instance, you can change the look of the chatterbait by removing the skirt. 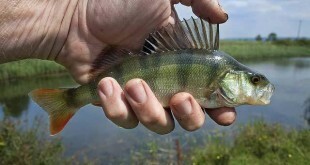 The result, it would make the profile smaller as well as allowing the lure to be retrieved with higher speeds. At the same time, you don’t break the surface. Add trailers: One of the things that you must do is not forget about adding trailers. The chatterbaits are versatile but its versatility also relies in the trailers that you can add onto it, so I suggest that as you use it, you need to add a swimbait trailer to enhance its effectiveness and versatility. Choose the Ideal Color: Also, don’t forget to choose the ideal color for the chatterbait. As many anglers know, choosing the right color of the lure is imperative. The color depends in the season and of the weather. Some of the most commonly used colors for chatterbaits are shad, chartreuse, black and blue, and bluegill. Shad and Chartreuse chatterbaits are effective if you are fishing lakes. Bluegill is ideal for late winter or early spring time. 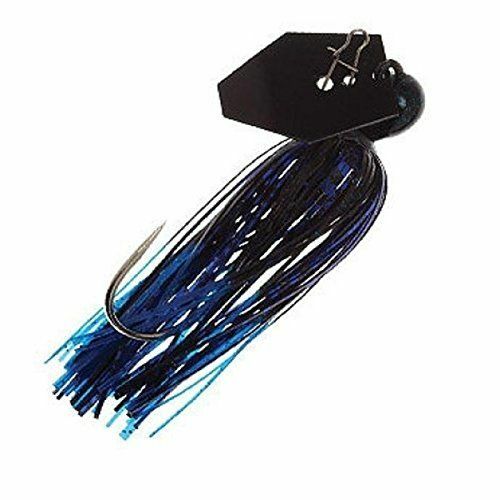 The black and blue color bladed jigs work well in dirty or murky water. The black color chatterbaits are very effective in dark water. Remember that the darker the lure, the better the silhouette. Don’t be in a hurry: It is important to remember that chatterbaits are active and if you don’t use a slow and steady retrieve, catching bass might be easier said than done. That being said, if you hit a grass, don’t forget to pop the chatterbait out the top of it because bass will swarm to the movement coming out of the weeds. Using chatterbaits will not only invigorate your fishing style but it will improve your skills as well. Follow the tips on how to fish a chatterbait and don’t limit yourself. Get the right tools to help you in your fishing adventure. Be patient and don’t forget the tips that were shared in this article. I have experienced it myself and I know the importance of getting right stuff and tools to enjoy my fishing escapades. If you enjoyed using a Chatterbait of if you have additional tips that you would want to share, please leave a comment below.